The military helicopter market has had a robust couple of decades, particularly as a result of its use as a counter-insurgency vehicle of choice supporting ground troops in first Iraq, then Afghanistan and more recently in northern Africa. It enabled coalition forces to move unhindered around the asymmetric battlefield, avoiding roadside improvesed explosive devices (IEDs) and enabling rapid reaction and resupply to isolated patrols and outposts. All of the major prime manufacturers made good business developing and selling dedicated attack helicopters, heavy lift, medium lift, utility, as well as numerous naval variants. But designing and selling dedicated military helicopters is an expensive business which is why a couple of current trends have developed: either keep developing new iterations existing helicopters as Boeing has done with its AH-64 Apache and CH-47 Chinook, or develop a modern version of an older aircraft in the way Leonardo has done with the AW159 Wilcat replacing the Lynx/Super Lynx 300 and Sikorsky/Lockheed Martin has done with the CH-53K, taken from the legacy CH-53A/D/G. A more recent development has been the dual use civil/military helicopters that have been brought to the market by Airbus (H135M, H145M/UH-72A0 and Leonardo (AW109LUH, AW139/149/169). Bell did this before with the Bell 407 and of course Russian Helicopters with its dual Mi-8/17. Tiltrotors entered the market, and after a difficult start have become aircraft that are invaluable to the United States Marine Corps (USMC). Moreover, prime Bell is now taking a newer generational aircraft through the US Army’s Joint Multirole Technology Demonstration with the ambition of becoming a key piller of the Future Vertical Lift requirement from the 2030s onwards. Bell is also staking an early claim into the burgeoning unmanned military rotorcraft market with its V-247 Vigilant tiltrotor UAV. Moreover, outside of the prime manufacturers there are still spirited rotorcraft developers with many ideas but lacking the budget and manufacturing facilities to bring them to market. Such organisations include: AVX Aircraft and its compound helicopter with coaxial rotors and dual ducted fans; Karem Aircraft with its optimum speed tiltrotor, the TR36TD; and others including the well established Piaseki company with its long-worked X-49A Vectored Thrust Ducted Propeller (VTDP) compound helicopter programme, to newer ideas such as the modular vertical take-off and landing (VTOL) Aerial Reconfigurable Embedded System (ARES). But the success of the military rotorcraft has also caught the imagination of non-traditional players who are keen to break into the manned rotorcraft market, such as relatively new but fast growing Chinese company Avicopter, Korean Aerospace Industries and Turkish Aerospace Industries. 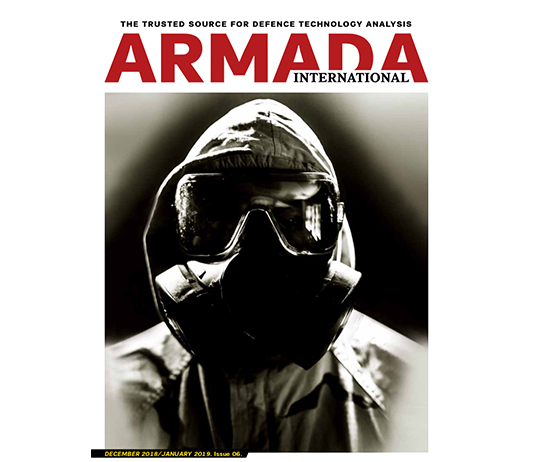 Armada International wanted to discover industry’s perspective on the future of manned and unmanned military rotorcraft, and a survey of several questions was sent out to each prime with more that one type of military helicopter. Not all answered, but the four that did represented companies with a long pedigree in helicopter design and development: Bell, Boeing, Leonardo and Sikorsky. The questionnaire required answers from a senior named figure within the organisation who had a direct connection with the development of their company’s military products and assessment of future ambitions. Respondents did not have to answer all questions. Andrew Drwiega (AD): What are the main factors driving military helicopter design today? Steve Mathias (SM): After nearly two decades of conflict, I think US military leaders see a need to re-examine the combat helicopter from ‘soup to nuts’. Future vertical lift aircraft need to fly faster and further while maintaining excellent manoeuvrability over their targets. The attack helicopters today are technologically advanced versions of what was invented by Bell in the 1960s. They are very capable and effective, but still similar in speed and range. These next generation aircraft need to be able to accommodate greater payloads and be produced at a lower cost while at the same time shrinking their logistical footprint. 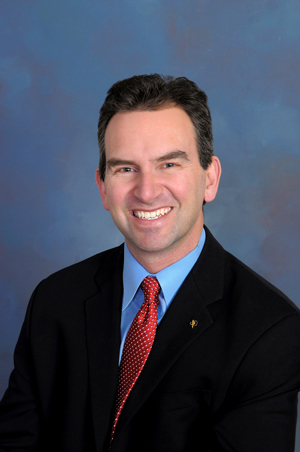 Chris Van Buiten (CVB), vice president, Sikorsky Innovations, Sikorsky/Lockheed Martin. Chris Van Buiten (CVB): At Sikorsky we have selected three technology pillars that we think define the future of rotorcraft. These are: speed, autonomy, and intelligence. Our Speed Pillar is focused on maturing our X2 rigid coaxial helicopter technology which enables us to double the speed of helicopters, improve cruise efficiency, reduce noise and significantly improve manoeuvrability. Our Autonomy Pillar is focused on improving the safety and productivity of our helicopters by leveraging autonomy technology. Our approach will enable our products to be ‘optimally piloted’ with two pilots, one pilot or zero pilots; depending on mission requirements. Our Intelligence Pillar is focused on maturing the monitoring and analytics technology to understand the health of the aircraft fleets we support. This pillar is driving improvements in availability and reducing operating costs. We are integrating all of these technology areas in our next generation of products including those focused on US Department of Defense (DoD) Future Vertical Lift (FVL). 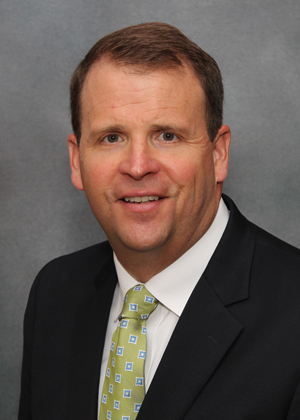 John Schibler (JS): At Boeing, we design military helicopters based upon customer requirements. Typical design requirements centre upon speed, range, payload, high/hot capabilities, endurance, and survivability of the aircraft and the crew members. This means redundancy for key systems. Design requirements for different military helicopters are based upon the mission sets each aircraft is required to perform. For example, design requirements for a light attack/reconnaissance scout, such as the AH-6 Little Bird, is significantly different from those of a multi-role attack helicopter like the AH-64E Apache. The mission of the scout is to perform reconnaissance, gather intelligence, and report it back to operations centres and in this role, the scout helicopter’s direct engagement with the enemy has limitations which lead to design of a smaller, agile aircraft, with limited firepower. For the multirole attack helicopter, which engages directly and decisively with the enemy, the design includes greater protection for the crew; increased durability of the airframe to withstand direct hits; and designed broad spectrum functionality of the aircraft including dual hydraulics, electrical systems, etc. – which leads to considered placement of these systems so that when in contact with enemy firepower, one bullet/RPG will not adversely impact the functionality of the systems. The Chinook tandem rotorcraft fulfils a broad range of missions and is designed and modernised to ensure it meets commanders’ performance requirements for power, speed, stability and lift. The V-22 Osprey continues to redefine multirole flexibility and mission versatility, operating worldwide in combat and humanitarian service. The tiltrotor craft was designed for operational flexibility, shipboard compatibility and technology enhancements planned or in-work ensure future growth for the aircraft. With the versatility of a helicopter and the speed and range of a turbo prop the performance of the Osprey makes it uniquely capable of performing missions that other aircraft cannot. Roberto Garavaglia (RG): It’s all about capability and affordability. Leonardo has both specialised military helicopters and dual use platforms in its product range. The specialised platforms, such as the AW101 and AW159, have been developed to meet very demanding and specific military requirements that require sophisticated fully integrated mission systems such as radars, weapon systems, defensive aids etc, which of course drive up the cost. 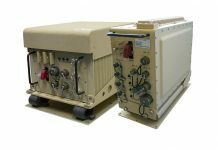 Other specific military requirements, such as ballistic tolerance and electromagnetic protection, also have an impact on cost. 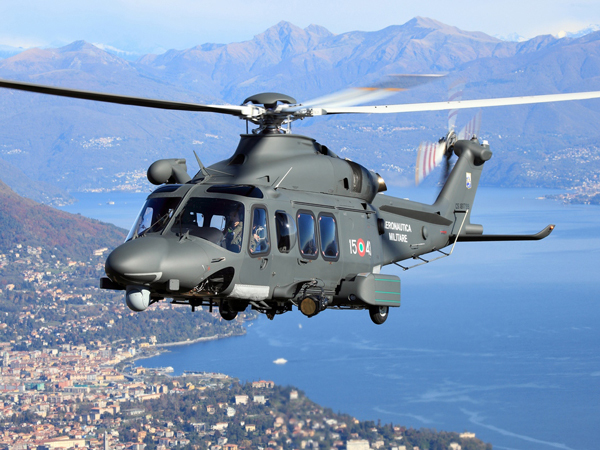 For a variety of utility and tactical roles Leonardo’s dual use products, such as the AW139M, offer customers a platform that can provide virtually all the capability of a competing specialised platform but with lower acquisition and through life costs. AD: Where does your company direct its main investment: new helicopter design; design modifications and upgrades; new systems technology? Can you provide details about your developments to date? CVB: Sikorsky has a wide portfolio of helicopter development underway that is funded both internally and by customers. 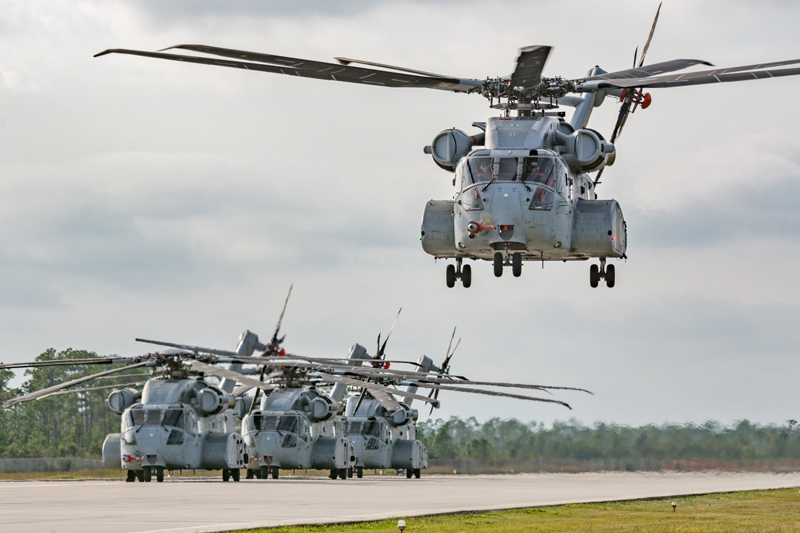 This includes the CH-53K King Stallion heavy lift helicopter development program, Presidential Helicopter, USAF Combat Rescue helicopter, as well as several international programmes including the Canadian Maritime Helicopter, and the Turkish Utility Helicopter program. We are also developing products using our Collier Award Winning X2 Technology: the S-97 RAIDER and the SB>1 Defiant. Our current portfolio is a nice mix of new developments as well as product upgrades. Some of the specific technologies we are leveraging include advanced composite structures, fly-by-wire controls, active vibration control and advanced diagnostics. SM: Bell has always been on the leading edge of technology and innovation. Examples include P59 which was the first US jet fighter, and X-1, which was the first supersonic aircraft, as well as the V-22, which is the first and only production tiltrotor. Additionally, Bell aircraft have been continually upgraded to remain relevant in the commercial space as well as the military battlespace. 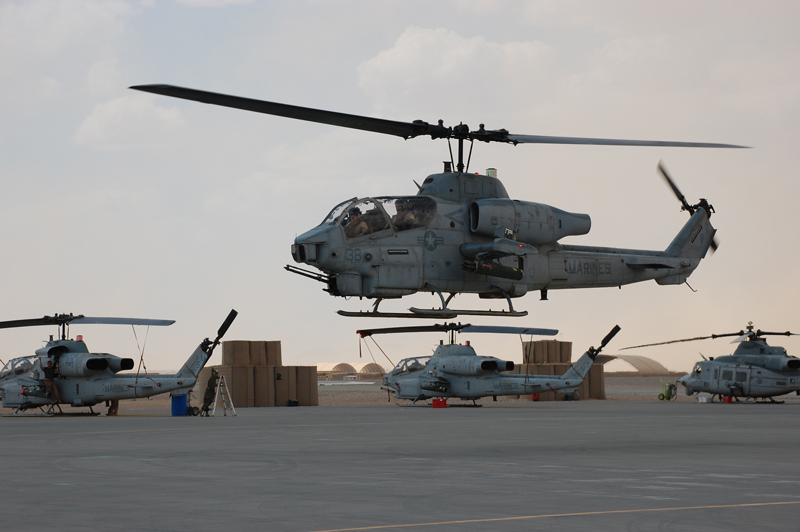 The AH-1Z and UH-1Y aircraft, while 85 percent common, are the latest generation in attack aircraft responding to a requirement from the United States Marine Corps for combat aircraft. Bell continues to lead the vertical lift industry with the revolutionary V-280 Valor. The V-280 is a next-generation tiltrotor that is designed to provide unmatched agility, speed, range and payload capabilities at an affordable cost. The Bell V-280 Valor achieved first flight in December 2017. This milestone represents exceptional progress on the V-280 development programme and brings Bell one step closer to creating the next generation of vertical lift aircraft for the US military. JS: At Boeing we work cooperatively and closely with our customers and industry partners to develop active and detailed modernisation plans for each of our contemporary, runway-independent, vertical lift platforms. The customer ultimately decides the priorities based upon the ever-changing threat and emerging requirements. 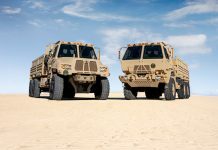 As stated previously, being able to increase speed, range and endurance allow for expanded mission capability while requiring a smaller logistics footprint on the battlefield. 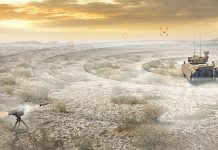 Other connectivity/situational awareness on the ever-crowded battlefield drives upgraded technologies. In addition to continuously modernising vertical lift platforms, Boeing is actively engaged in the Joint Multi Role Technology Demonstrator (JMRTD) project and other advanced programmes and technologies. Twenty seven new technologies went into the latest model of the Apache, the AH-64E with key developments including a new split-torque face gear transmission to increase power throughput; composite rotor blades; Cognitive Decision Aiding, and interoperability with unmanned aerial systems. The Chinook and Osprey programmes are likewise engaged in modernisation development to ensure continued operational relevance. 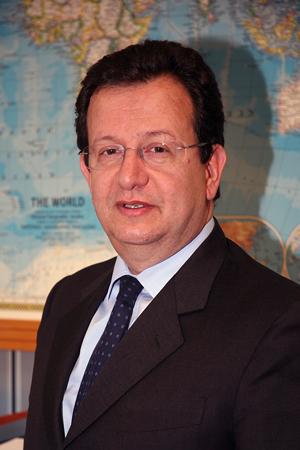 Roberto Garavaglia (RG), senior vice president, Competitive Analysis & Strategy, Leonardo. RG: Leonardo Helicopters invests more than 10 percent of its revenues into research and development, the challenge is how best to spend that significant sum of money. At Leonardo we are investing in new rotorcraft – conventional helicopters, tilt rotors and unmanned – as well as product improvements to existing helicopter product lines. Additionally we are investing in new technologies, such as electric tail rotor drive and active blade technology, which could be introduced on both new and existing platforms. 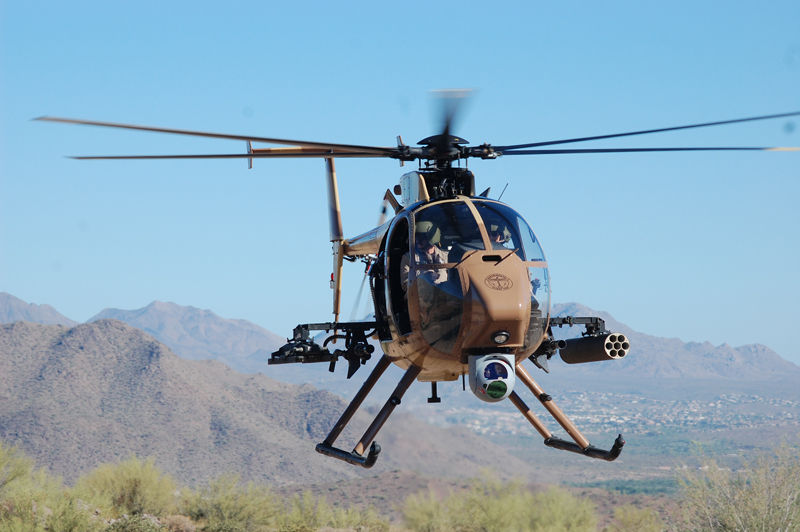 AD: Unmanned military rotorcraft are increasing in numbers and capability among today’s armed forces. Does your company see a future in progressing alongside, but apart from, unmanned rotorcraft; is it developing manned and unmanned rotorcraft together; or are you planning a significant increase in unmanned rotorcraft design and development? CVB: Autonomy is going to have a significant impact on our industry. Our Autonomy Pillar is focused on leveraging autonomy technology across all of our commercial and military products. Our vision is to enable ‘optimally piloted’ capability (2 Crew, 1 Crew, 0 Crew) in our products to make them safer, more productive and less expensive to operate. Autonomy has the potential to eliminate the leading cause of helicopter accidents: controlled flight into terrain (CFIT). CFIT is currently responsible for about 75 percent of helicopter accidents. This is because helicopters operate close to the ground, in unprepared, obstacle rich environments. Our autonomy approach is more focused on leveraging autonomy in products that are also capable of carrying people and less focused on making small UAVs. This drives our focus on high integrity, highly reliable systems that can be trusted. 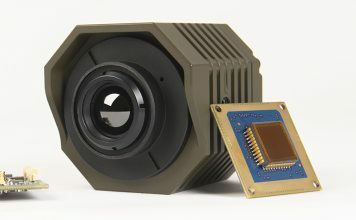 We also recognise that our products will interoperate with smaller UAVS is a variety of roles. Our optimally piloted approach enables the flight crews to free up the mental bandwidth to enable operation of off board UAVs. SM: Unmanned, autonomous vertical lift aircraft will have a growing influence on shaping the 21st century battlefield. That’s why Bell is developing the V-247 Vigilant. The V-247 Vigilant unmanned tiltrotor system is another example of Bell’s ability to apply an adaptive systems technology construct through years of lessons learned on V-22 and recently with the V-280 into an unmanned platform. The V-247 is runway independent and will operate from naval vessels to provide long range 24 hour persistent ISR with a flexible payload capacity. This will facilitate meeting known capability gaps and future fleet growth requirements with a capability to change configurations rapidly. 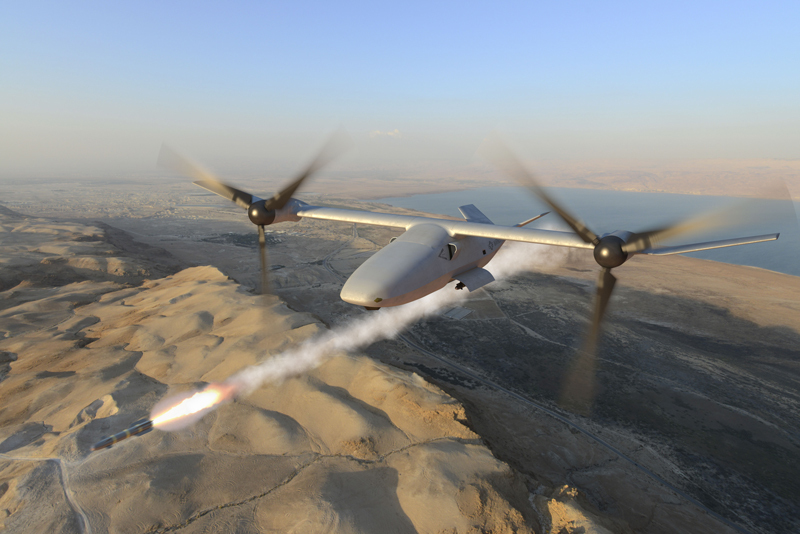 The Bell V-247 Vigilant is a low-risk, achievable approach to satisfying the USMC MUX (MAGTF Unmanned Expeditionary Capabilities) requirement for a Group 4/5 Unmanned Aerial System (UAS). Expeditionary capability with a small logistical footprint. Additionally, Bell has demonstrated a scalable unmanned autonomous pod transport system, otherwise known as APT, to meet the growing on-demand mobility needs for both commercial and military applications. The APT will autonomously deliver much needed aide or supplies to areas affected by natural disasters, impassable road systems due to flooding or mass migrant movements, or a unit located in an austere forward operating base. This capability set will improve how we operate militarily and support a global community when the bubble goes up. John Schibler, Boeing Vertical Lift director of Engineering. JS: Leadership within The Boeing Company see significant benefits in the complimentary nature between manned and unmanned rotorcraft/systems and the tremendous benefits associated with the combined increase in capabilities. 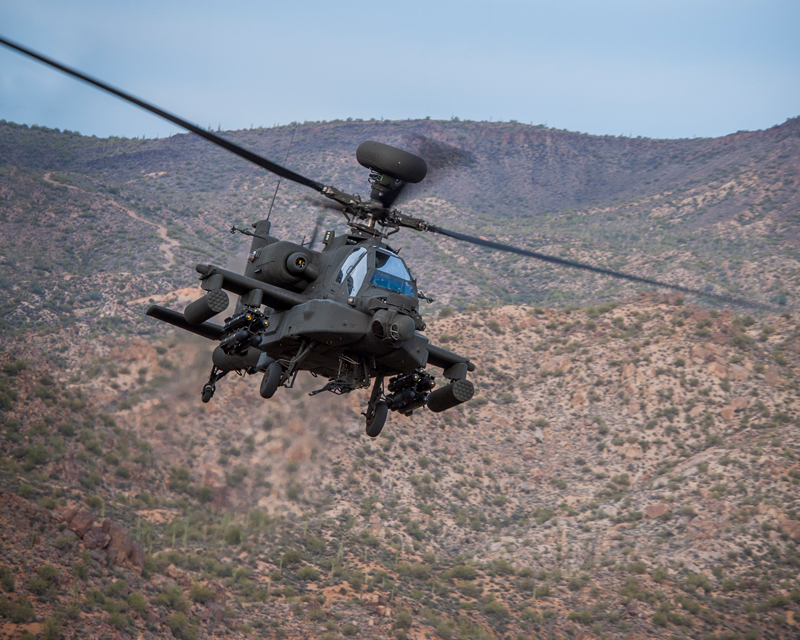 Today’s Apache helicopter is capable of receiving video from an UAS of the mission area prior to even taking off – and that’s a tremendous increase in situational awareness and survivability. There is clearly so much capability in unmanned technologies that the company has and industry leading Autonomous Systems Division within the Boeing Defense, Space & Security business. Both the Boeing Vertical Lift (current platforms) and Phantom Works (new development) organisations are actively engaged with many projects which intersect with this technology. RG: To get the maximum mission capability benefit you have to design a platform from the outset for unmanned operations. Optionally piloted air vehicles converted from manned platforms give you mission and operational flexibility, but don’t give you the same combination of payload fraction and range that can be achieved with a dedicated unmanned platform. The amount of investment and work we are doing on unmanned rotorcraft has increased significantly over the last three to four years and we expect it to continue to grow to become an important part of our business over the next decade. One key unmanned project is RUAS Phase II, jointly funded by Leonardo Helicopters and the UK MoD, which is studying the role of a unmanned rotorcraft primarily for maritime missions. We are also continuing to develop the Hero UAS product and the SW-4 Solo OPH/UAS demonstrator. AD: Does your company regard UAVs as a threat to future business – or an opportunity? Are UAV rotorcraft scalable? CVB: Autonomy presents an important opportunity by enabling significant advancement of helicopters. Sikorsky makes large helicopters such as the UH-60 Black Hawk, CH-53E/K, S-76 and S-92. These aircraft move passengers and tons of material over large distances in difficult environments. Small UAVs are not going to displace this transportation capability, but I believe the autonomy that enables UAVs will flow into all future helicopters to make them safer, more productive and cost effective both with and without pilots. 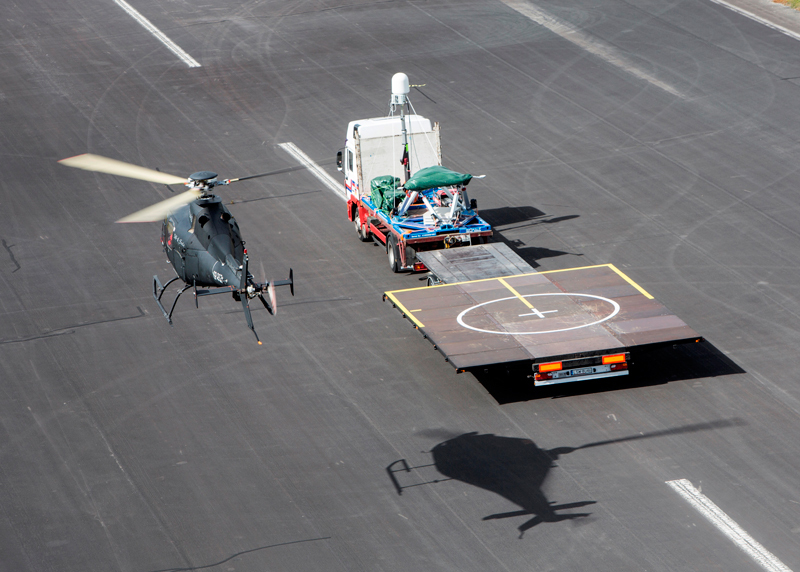 In this way, the autonomy technology is completely scalable from our 12,000lb helicopters to our 80,000lb helicopters. We do not see an autonomous 19 passenger helicopter on the horizon yet but we are working on using that autonomy technology to make our 19 passenger helicopter safer, more productive and more affordable to operate. Will manned attack helicopters still have a central role in deliberate attack in 2030 onwards? Does your company regard UAVs as a threat to future business – or an opportunity? 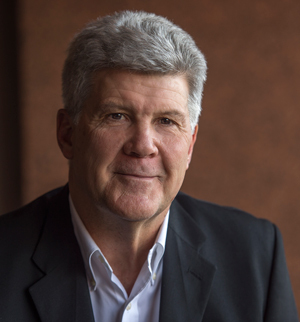 Steve Mathias, vice president, Global Military Business Development, Bell. SM: At Bell we are focused on how to best serve the war fighter. The complexity of the battlefield will always demand a mixture of manned, optionally manned, and unmanned aircraft. 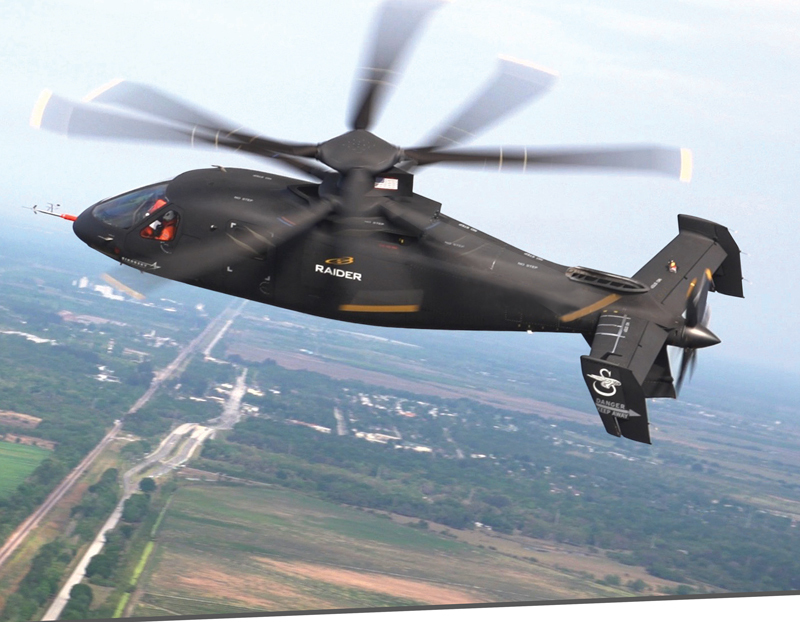 We at Bell Helicopter embrace vertical lift across all platforms manned and unmanned. The multiple roles of vertical lift platforms will create unique missions sets where a small, short range aircraft will be needed in the light attack / utility role as well as a slightly larger, faster attack platform. At Bell Helicopter, we have innovation teams continuously working to bring new ideas to life in order to solve the hard challenges that limit the capabilities of rotorcraft. If an aircraft manufacturer fails to innovate, they will fall prey to the wake of disruption caused by new ideas. RG: Leonardo definitely sees UAVs as an opportunity rather than a threat to its current helicopter business. Leonardo Helicopters is investing in military unmanned rotorcraft and going forward sees them as one of its three product lines – which comprises of conventional helicopters, tilt rotors and unmanned rotorcraft. We have the technology for the platform, the mission systems and the unmanned mission management. The technology that allows you to fly and operate a unmanned rotorcraft is scalable, for example the technology behind the Hero and SW-4 Solo unmanned air systems is almost identical and applicable to larger unmanned rotorcraft. What is the long-term impact of performance-based logistic contracts on your company’s overall business? Does this shift the key OEM role from prime manufacturer to sustainment provider? CVB: Sikorsky has thousands of aircraft operating with customers around the world. The safe and cost effective operation of these fleets is a constant focus for us. We make extensive use of Performance Based Logistics and Total Assured Performance with our military and commercial customers. We continue to invest to improve our capability. Our fleet management centre monitors aircraft around the world with state of the art, customised analytics to reduce maintenance, downtime and costs with the highest levels of safety. These services are a big part of our business but we maintain a balance of new aircraft production and fleet support. RG: There is an increasing trend amongst military customers to evaluate not just the procurement cost but the through life cost of helicopter platforms and to contract for some form of performance-based logistics. Leonardo Helicopters has a lot of experience of providing integrated operational support services for the UK MoD Merlin, Apache and Wildcat fleets. Most recently is has contracted with Norway for a comprehensive aircraft availability based support service and training service covering the first 15 years of operation of a fleet of 16 AW101s. This contract guarantees aircraft availability rates at six SAR bases. These types of contract are likely to increase in the future and are an opportunity for the Company to expand its customer support and training business whilst ensuring customers get the most out of their helicopter fleet. Will manned attack helicopters still have a central role in deliberate attack in 2030 onwards or will their role be made redundant through the use of either UAVs, fast jets, or perhaps other platforms that may be able to deliver kinetic weapons? CVB: Future attack and reconnaissance helicopters will have the flexibility to operate with or without onboard crew depending on mission requirements. They will interoperate with smaller UAVs and fixed wing attack assets. Our S-97 Raider prototype which is aimed at Future Vertical Lift Light requirements will be able to execute missions with two crew, one crew or no crew and will be capable of operating in packs of collaborating aircraft while leveraging off board assets including UAVs. We believe that it will be important to retain the ability to have humans in the system. The role of humans will change from piloting the aircraft to coordinating increasingly complex mission strategies. RG: We see manned armed helicopters still playing a key role in fulfilling the armed role in 2030. However, certainly by then some battlefield commanders are likely to have unmanned armed rotorcraft available and, as is the case today, armed unmanned fixed wing aircraft. Looking beyond 2030 it is likely the role will be carried out increasingly by unmanned platforms controlled from remote ground stations or teamed with manned aircraft. However, we do not anticipate complete replacement of manned platforms with unmanned ones, especially in scenarios where a specific situational awareness is needed. NOTE: The following manufacturers were contacted to contribute to this survey and either did not wish to participate or did not reply: Airbus Helicopter; Korean Aerospace Industries; Hindustan Aeronautics; MD Helicopters; Russian Helicopters.